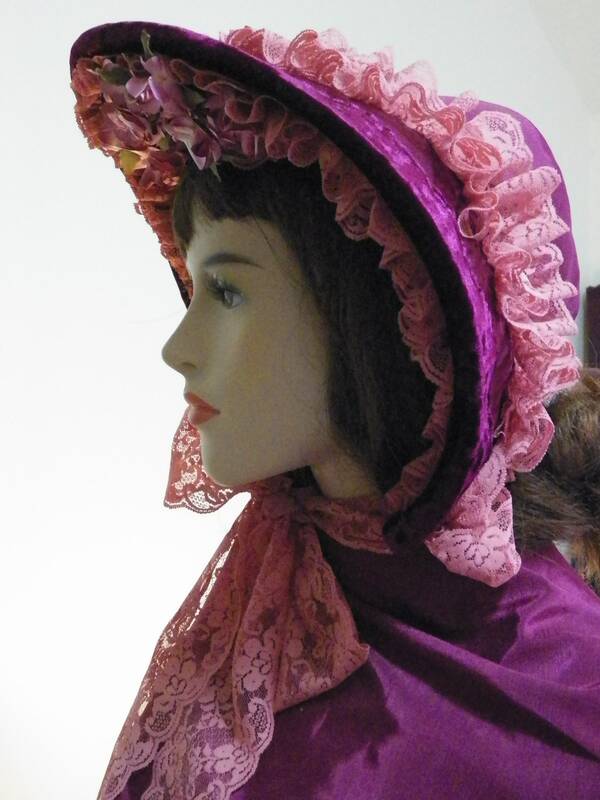 You are admiring a beautiful custom made Victorian Civil War Dickens 1800's SASS spoon bonnet. 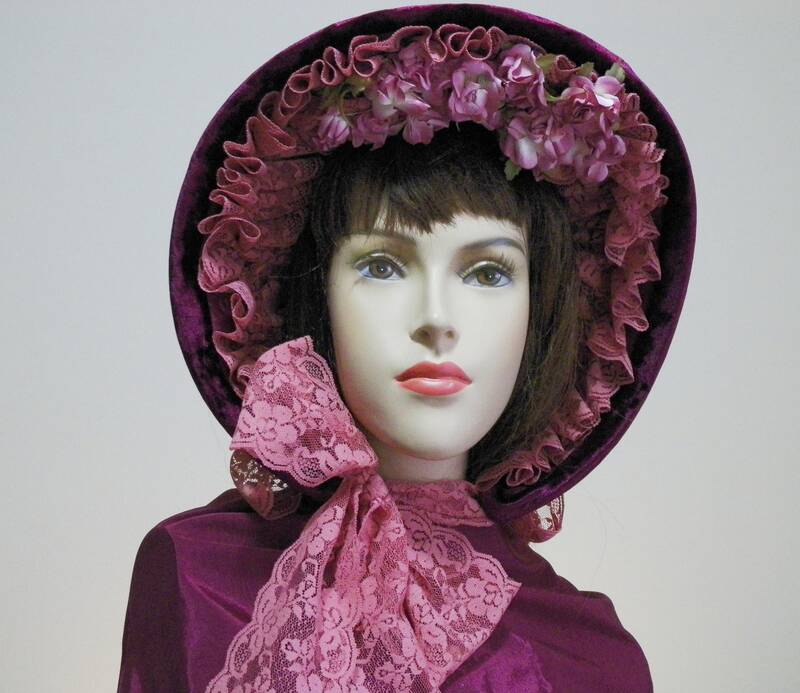 The bonnet that you see is made in burgundy silk satin bengaline with antique velvet trim and custom made complimenting fabric florals and lace. 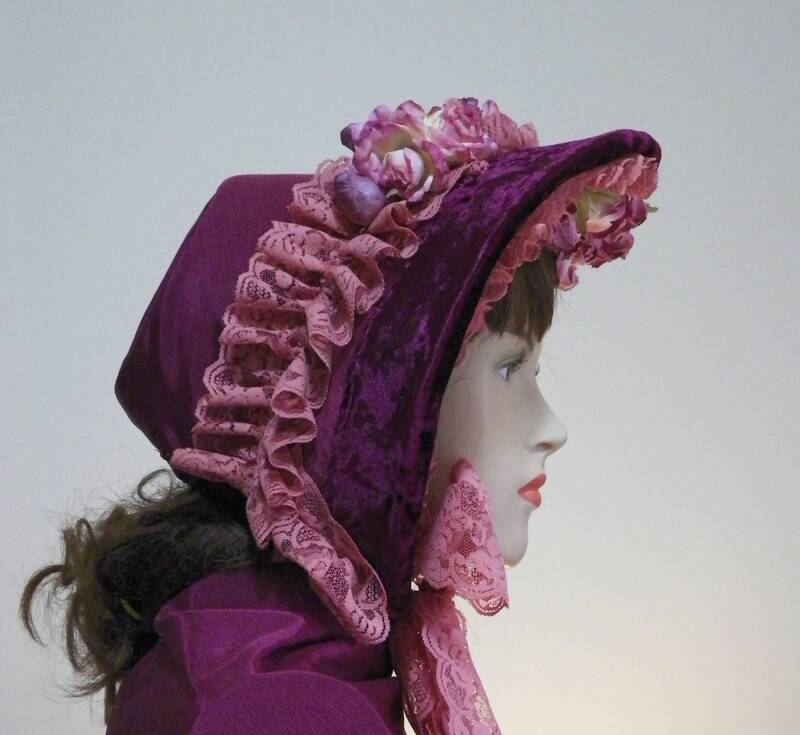 This bonnet can be used for Civil War events, Victorian events, Dickens Fair events, Dickens Christmas events, Regency events, cosplay, reenactments, and more. 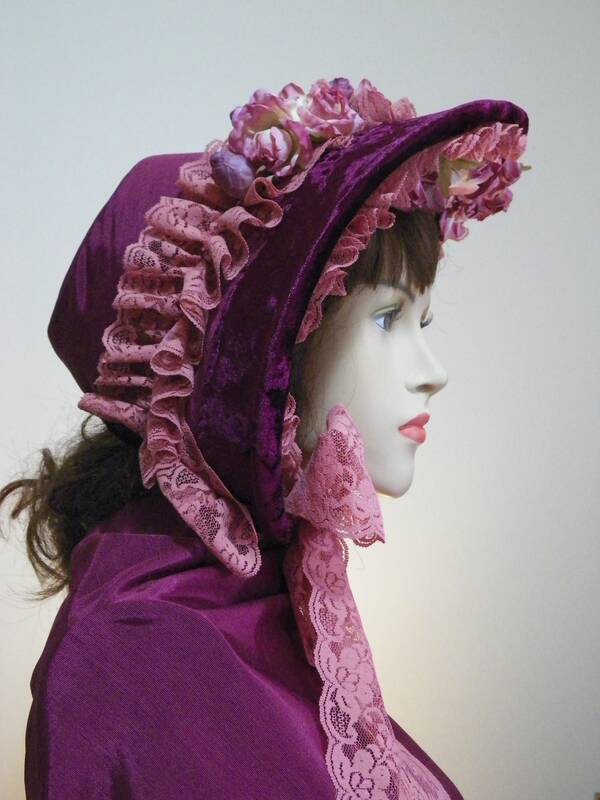 You can order this bonnet in your choice of colors. 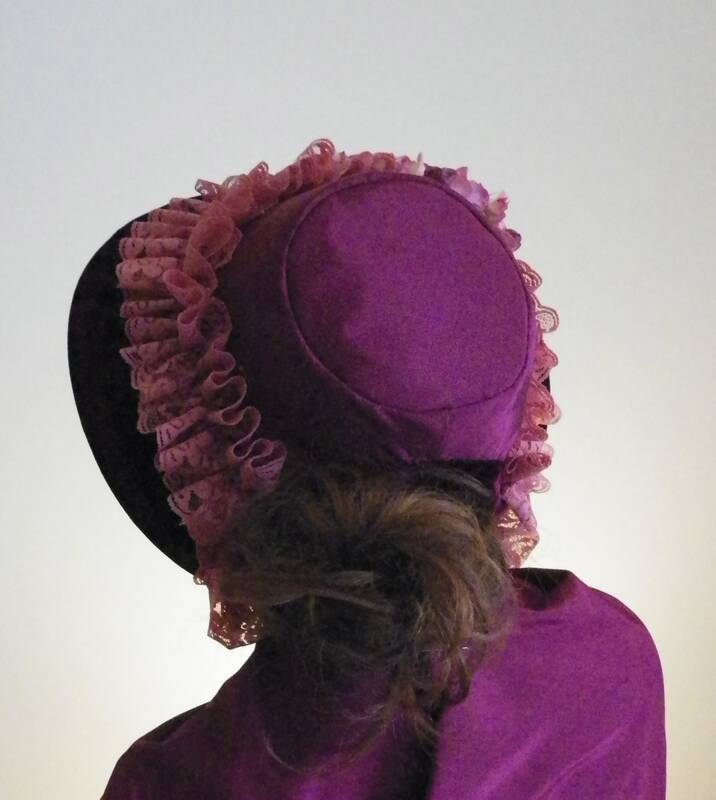 I can also make sash ties in burgundy. 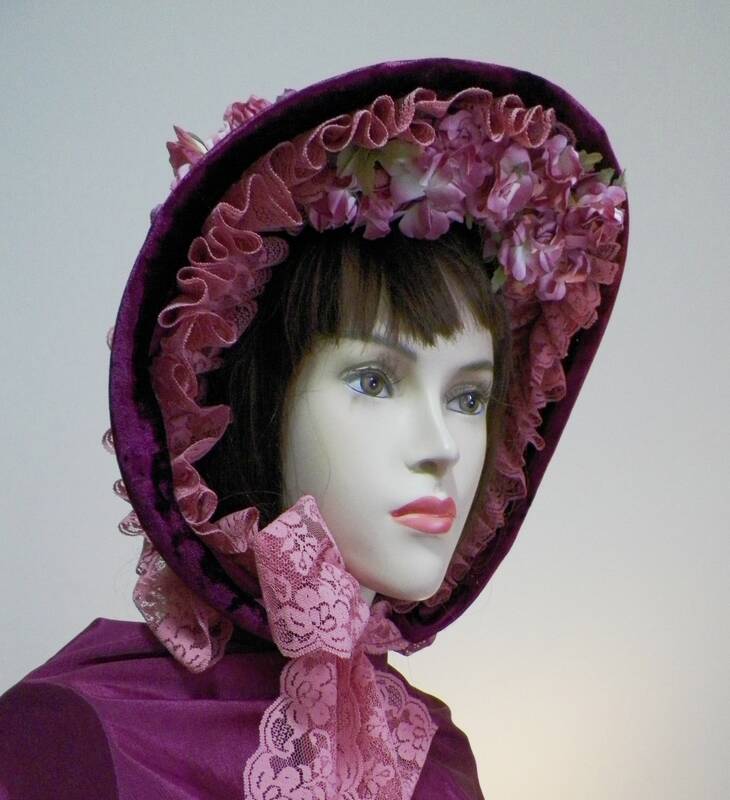 I make this bonnet in most any color. If your color is not listed, email me, and I will do a special reserved listing just for you. 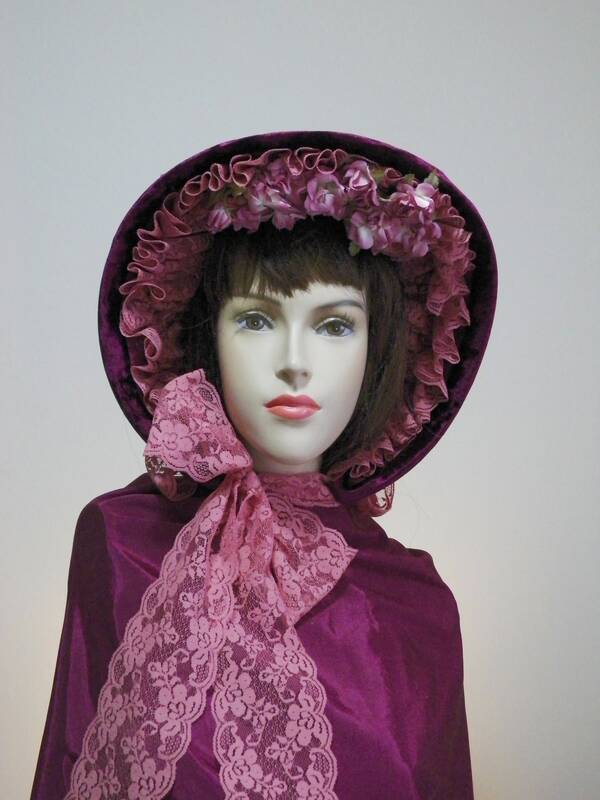 Fabrics can be in silk , satin , bengaline. Please contact me before ordering. 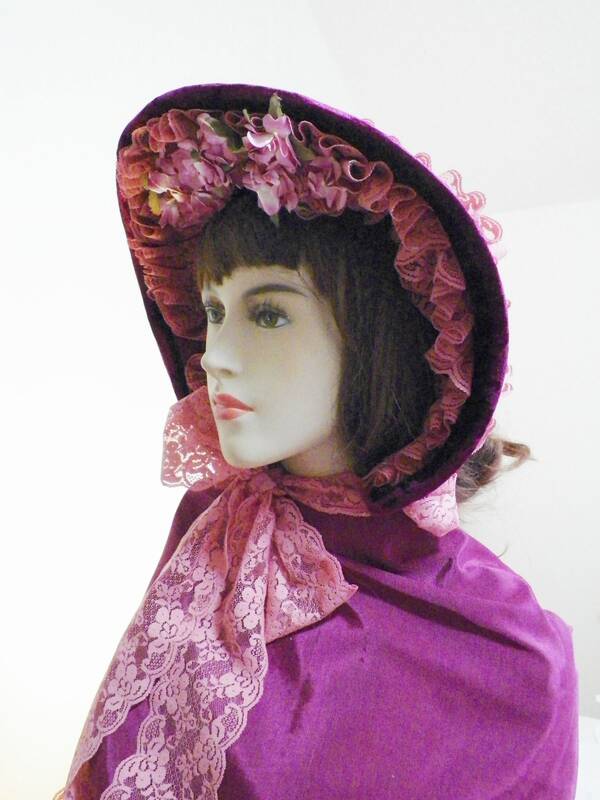 Let's discuss your prefered colors and fabrics. 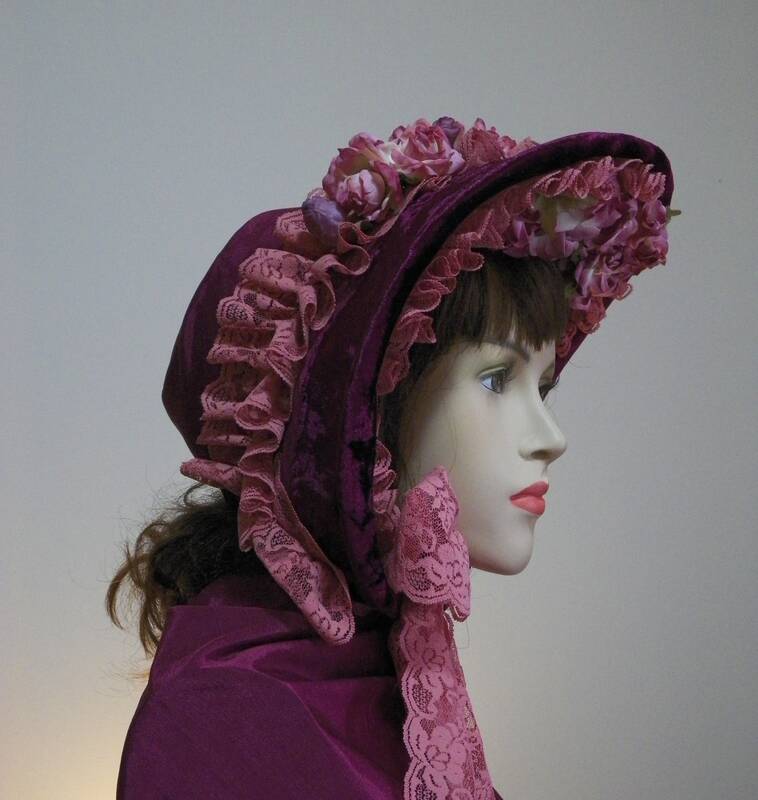 This bonnet will ship within 3 to 4 weeks after purchase. Priority mail delivers 2 to 3 days nationwide. Some rural areas in the northwest are 4 to 5 days. 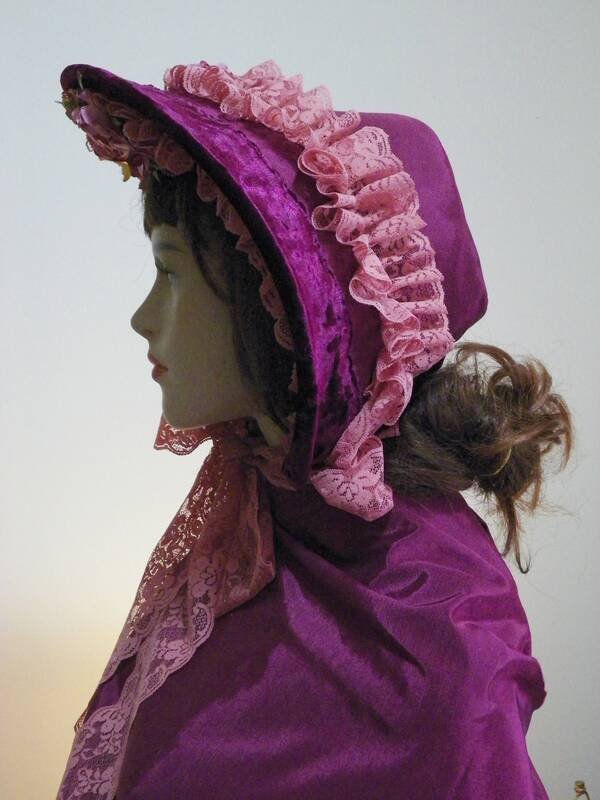 Holiday Carollers and Victorian choirs, Reenactors, Drama and production companies....shipments can be delayed because of snow and unfavorable weather conditions. Please order early, before the heavy snows. Let me know if you have more questions. Thanks for looking and ordering.